A 28 year industry veteran and CEO of La Trobe Financial, Greg O'Neill, has come out hard against the charging of risk or loan equalisation fees by specialist lending industry participants. O'Neill who has worked at La Trobe Financial since 1984 has seen many changes to the industry over that time and states one concern he holds for the specialist lending sector future is not interest rates (at 30 year lows), unemployment, or whether there is or is not a housing bubble, but it is ...”the unnecessary practice of particular specialist lenders charging borrowers a “risk or equalisation fee” without providing any correlated borrower/consumer benefit”. Interviewed recently on a range of industry issues, O’Neill stated there are three (3) things all brokers should now be asking before referring clients to any lender. Broker Question 1: Is any Risk or Equalisation Fee being charged to my client? It has become common practice for specialist lenders to charge borrowers "risk fees" (or sometimes called "equalisation fees") of up to 1.5 % and often 2% to obtain the loan in addition to the higher rate of interest offered. These amounts can add up to $4,000 or more on some loans. Unlike Lenders Mortgage Insurance (LMI) offered by independent third party providers such as Genworth or QBE, these specialist lender risk or equalisation fees offer no consumer benefit or protection level at all for the borrower. LMI at least provides a bona fide independent contract of loss insurance for the lender, which in turn benefits the borrower from recovery actions of lenders to some extent. A risk or equalisation fee charged by specialist lenders is merely pocketed as profit. This is why La Trobe Financial does not charge borrower clients a Risk or Equalisation Fee because unlike independent LMI, there is no tangible consumer benefit whatsoever in paying such risk or equalisation fees levied. Broker Question 2: Am I putting my clients' interest first in referring them to this lender? Some brokers could appear to be potentially conflicted by the very existence of such risk or equalisation fees without knowing it. It appears payment of these 'Risk or equalisation Fees' may assist the chosen lender to pay the referring broker a higher upfront loan origination fee. A fundamental basis of the current National Consumer Credit Protection Act (NCCP) was to ensure borrowers could easily compare loans, make informed choice, and be represented independently and impartially by their broker as their agent. In fact a broker's independence is the cornerstone of the business case for using a loan broker rather than consumers dealing with the lender directly. The NCCP at section 47(1)(b) states brokers (credit representatives) ...”must not put the borrower at a disadvantage” and placing a client into a loan with a risk or equalisation fee from which you are sharing could be an argument to be prosecuted as a breach of general conduct obligations. Simply put, the broker must always place the borrower's interest above their own in receiving remuneration. So in O’Neill’s view the question all brokers should be asking is...”are my clients being charged a risk or equalisation fee, and what benefit do the borrowers receive from that fee versus what benefit I as the broker am receiving or is there an alternative provider”. Broker Question 3: Is there a better alternative? Regrettably the handful of remaining specialist lenders (also referred to as nonconforming or near prime), were deeply buffeted by the GFC due to increased costs associated with reliance on capital market securitisation funding, and they also had to contend with the Federal Government’s decision by Wayne Swan in December 2010 to axe loan exit fees in an effort to increase competition. This resulted in, if not all, then most specialist lenders adopting a front end loaded “risk or equalisation fee” structure on all loan products to compensate for their lower overall profitability and to comply with the new legislative push. Ironically the current market outcome and distortion were foreseen by the May 2011 Senate Economics Committee inquiry into “Competition in the Banking Sector” which stated the exit fee ban could lead to higher upfront fees and reduce competition. The committee stated in its report... “The committee recommends that the government reconsider its decision to ban exit fees, before the amended regulations come into effect, with a view to allowing enough time for the effectiveness of the existing ban on unfair and unconscionable exit fees ... to be assessed.” The absolute ban on loan exit fees of any amount has given rise to this current “risk or equalisation fee anomaly” resulting in no consumer benefit and several sector distortions. Unfortunately common sense did not prevail and the legislation was enacted with much fanfare about saving consumers. 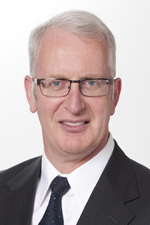 Now whilst O’Neill is the first to admit the specialist sector is small (circa $2billion of new loan volume per annum), it nonetheless remains an important sector of the much larger total $1.3trillion residential lending market in Australia which is dominated by mainstream bank lenders and is a significant contributor to broader economic activity and small businesses across the country. Its importance cannot be over-stated as the specialist sector has always served with distinction a high preponderance of self employed borrowers or those with minor credit blemishes, who through such specialist credit providers have an opportunity to build consistent loan repayment profiles and history, enabling them to refinance and join mainstream credit providers at a later point, and without whom such borrowers would be forced to deal with unlicensed and unregistered private operators and/or much higher interest rate payday lenders. “Our organisation”, says O’Neill, “has for over 60 years served this sector with distinction and we understand such clients' situations when dealing with them”. In an endeavour to assist its clients understand the borrowing process further, La Trobe Financial was the first in Australia to have developed a consumer advisory guide which has been issued to all loan applicants for the past seven years entitled “When Borrowing Doesn’t Add Up” warning clients to ensure they can afford the loan and to avoid unnecessary charges which provide no benefit when dealing with lenders and to shop around. “We do not and have not charged “Risk or Equalisation Fees” on any of our loan products” says O’Neill. On one view dealing with a lender who doesn’t charge risk or equalisation fees can benefit the consumer simply because the broker is no longer potentially conflicted. “What we are increasingly seeing is the good brokers are now really asking the question about risk or equalisation fees relevance and benefit, as they are truly understanding the business importance of representing the interests of their borrowing clients first” said O’Neill. Why use La Trobe Financial to borrow money? La Trobe Financial is accepted as one of the leading players in the specialist lending space in Australia. We are not a 'tick the box' type lender, but will consider all of a borrower’s personal circumstances fairly and compassionately. Borrowers can also choose the length of their loan that best suits their needs, with our flexible repayment schedules. We approve mortgage loans for any reasonable purposes including helping people with debt consolidation. So if borrowers need a mortgage loan from as little as $100,000 up to $5 million, or simply need to get their debts under control, we can help. We provide a free redraw service for repayments received ahead of schedule. Borrowers can fill out our Application Form today. It only takes 15 minutes to apply for a mortgage loan at La Trobe Financial; it’s that simple. And if borrowers need a hand completing the application, just ask one of our friendly staff – they’ll be happy to help. We can tell brokers or borrowers, ‘on the spot’ whether the application for a mortgage loan can been accepted with indicative approval. You won’t be talking to an answering machine at La Trobe Financial; with representatives across Australia, and our 1800 707 707 National Hotline open 8:30am to 5:30pm Mon-Fri you will be personally assisted with your loan application from start to finish. Simply call – no need for an appointment. Speak to any of our national Sales or Credit teams shown here. We explicitly agree that no clawback of your brokerage trail commission or upfront fee share will occur for loans that refinance to another lender. This revenue protection clause looks after you and your client. Local BDMs who can visit your office that have credit limit approval authority and can educate you on our Award winning Investment Fund Products. We don't charge a Risk or Equalisation fee.